Sorry for not posting these last few days, but you know how it goes...busy, busy busy! 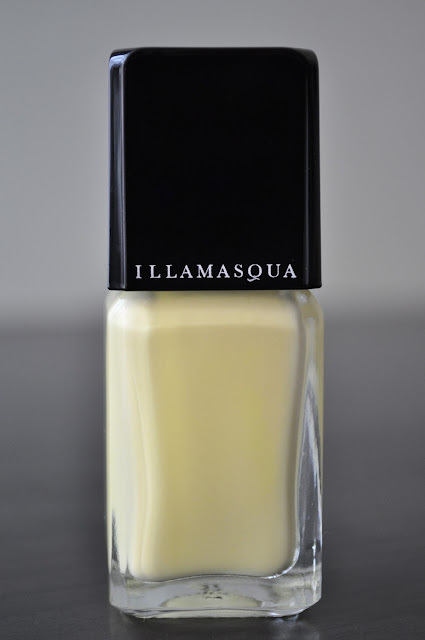 On Thursday, I painted my nails with blow, one of my newest Illamasqua nail varnish additions. Blow is a creamy pastel lemon yellow. I love Illamasqua polishes, and I've always praised them for their top quality and brilliant performance...but blow has to be the first varnish to disappoint. Blow's formula is extremely thick and a little goopy. Application was painstakingly difficult and frustrating. After two coats, I still had streaks, four coats took care of all streaks, but now I had to deal with bold spots. I had to apply six coats in order to achieve opacity. What is your favorite yellow nail polishes? ahhhh!!! i love love yellow nails!!!! I totally laughed at your comment about the name, disappointed that it was a dud:/ But i have to say it looks very pretty!